"The rooms are in a different building from the reception and..."
Have a question for B&B Nonna Jole? "Great value for money overall." "Very quiet, air con worked well." 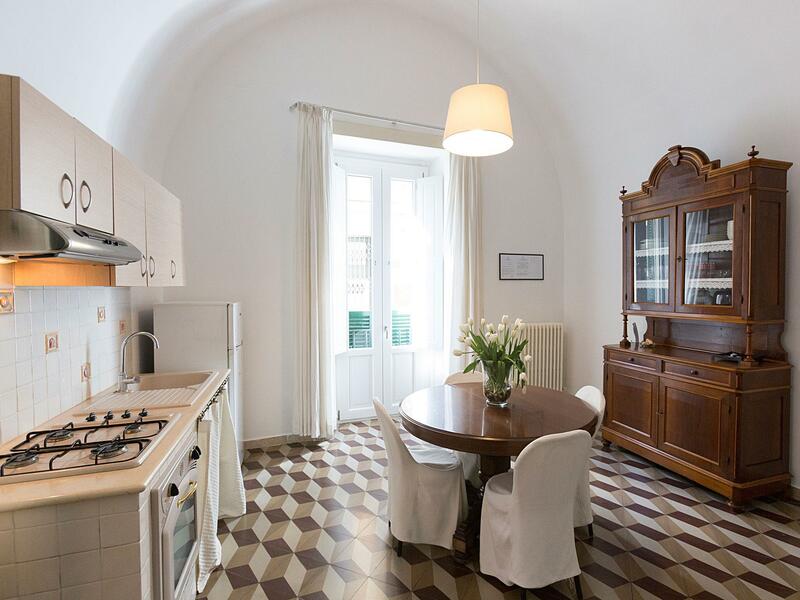 B&B Nonna Jole is a distinct addition to Lecce and a smart choice for travelers. The hotel's strategic location ensures that guests can quickly and easily reach many local points of interest. 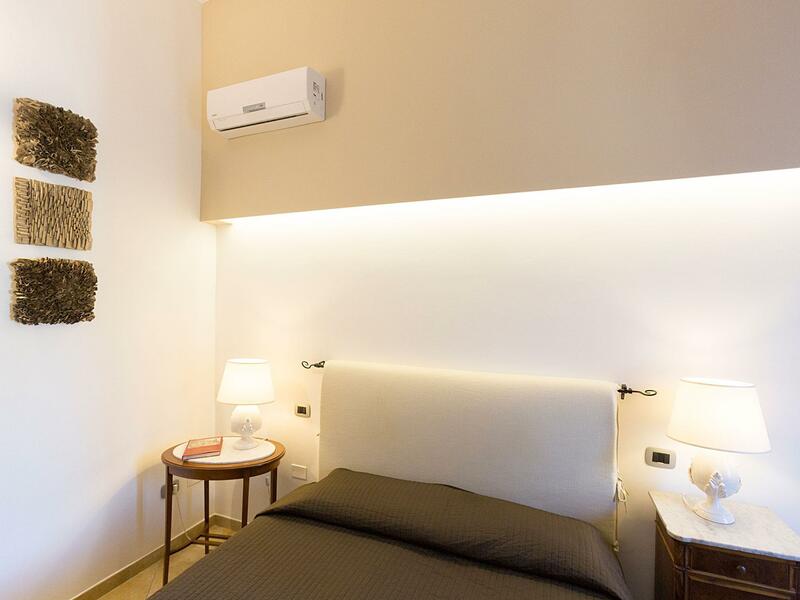 This modern hotel is in the vicinity of popular city attractions such as Cathedral, Palazzo Vescovile, and Piazza del Duomo. At B&B Nonna Jole, every effort is made to make guests feel comfortable. To do so, the hotel provides the best in services and amenities. The hotel offers access to a vast array of services, including free Wi-Fi in all rooms, 24-hour front desk, express check-in/check-out, luggage storage, and airport transfer. Six rooms spread over floors provide a warm and pleasant home away from home. Modern comforts such as complimentary tea, closet, towels, complimentary instant coffee, and television LCD/plasma screen can be found in selected rooms. Every morning the B&B offers a rich breakfast buffet with homemade cakes and savory products. The hotel's host of recreational offerings ensures you have plenty to do during your stay. 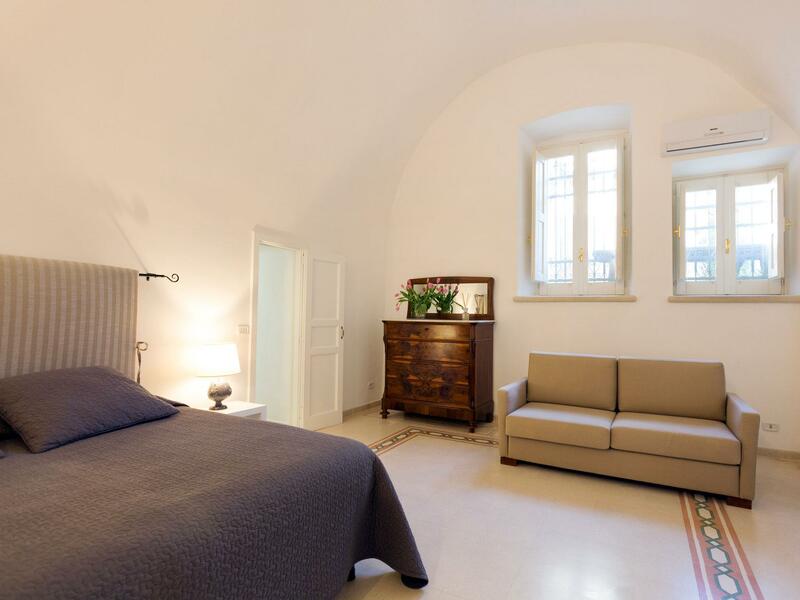 Whatever your purpose of visit, B&B Nonna Jole is an excellent choice for your stay in Lecce. 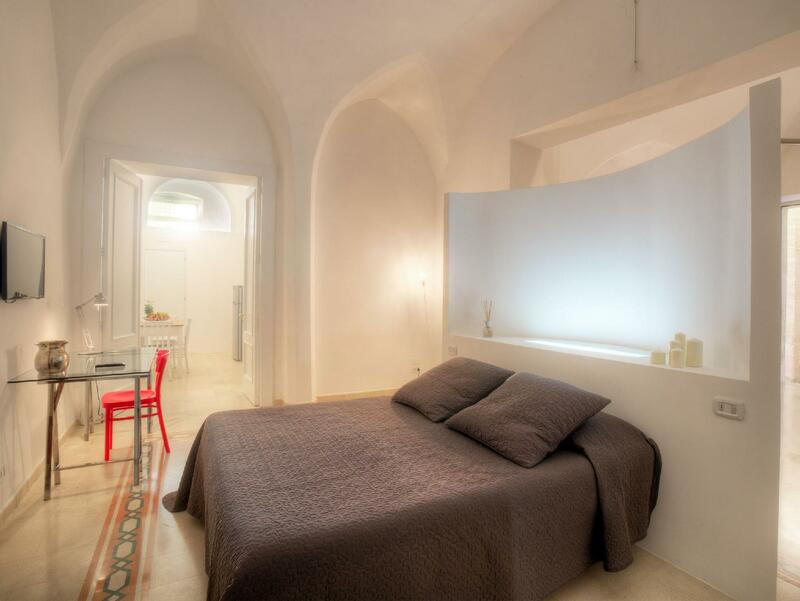 Absolutely stunning room With high ceilings and modern shower. The rooms are in a different building from the reception and ours had its own front door to a beautiful inner courtyard. Very quiet, air con worked well. Great value for money overall. Room got a bit hot & stuffy during night unless windows were open and then the noise from the street café and neighbour's was quite bad till early hours. But given price & location would probably stay there again. 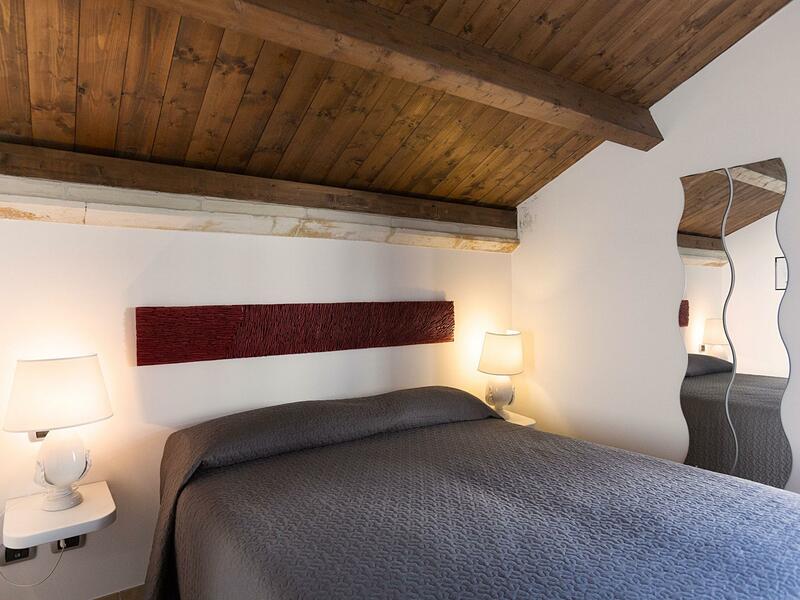 This is a very pleasant, clean, comfortable and modern establishment, ideally situated in the centro storico, only a 3 minute walk to the beautful Duomo. It's run by two friendly guys. My room on the first floor was lovely, spacious and quiet, with aircon, TV, a bar fridge, and ensuite. perhaps the only drawback is that the way up to the rooms is via a very narrow and steep staircase, which would have made carrying my suitcase up to my room a bit of a nightmare, had one of the managers not kindly carried it up for me. Breakfast is rather wonderful, with a glorious selection of meats, cheeses, rolls, cakes, jams, yoghurt and fruit, with coffee served to order. The managers speak passable English, are friendly, and do all they can to make your stay a happy one. Highly recommended! Après 53 marches à monter avec les valises, le toit qui coule à 3 endroits dans le lit, des proprios inquiétants qui ne répondent pas... CE N’EST PAS LA PREMIÈRE FOIS QUE LE TOIT COULE SANS RÉPARATION!...PAR E QUE D’HABITUDE, IL NE PLEUT JAMAIS À LECCE!! Giampaolo est vraiment très gentil! Le b&b est situé en plein centre ville ! Très agréable et silencieux! Petit dej super ! Es war ein sehr schöner Aufenthalt, wir wären gerne noch ein paar Tage länger geblieben. Ottima struttura anche se inserita in palazzo vecchio, a due passi dal duomo (centro storico). Vista l'impossibilità di parcheggio poichè è zona a ZTL. (solo per residenti) suggerirei al gestore (persona cortese e disponibilissima) la possibilità di reperire un garage/box/magazzino ecc. con convenzione a prezzo ragionevole per il parcheggio almeno notturno dell'auto. Secondo me è l'unica cosa che manca alla struttura. Tutto benissimo e soprattutto la colazione straordinaria! Sia il proprietario sia il collaboratore sono persone molto gentili e premurose tali da rendere il soggiorno più che piacevole. E' tutto molto curato e la colazione è specialmente buona. Mi farà molto piacere poter tornare!! Een ruime, hoge kamer met hierin alle voorzieningen (zoals een koelkastje). 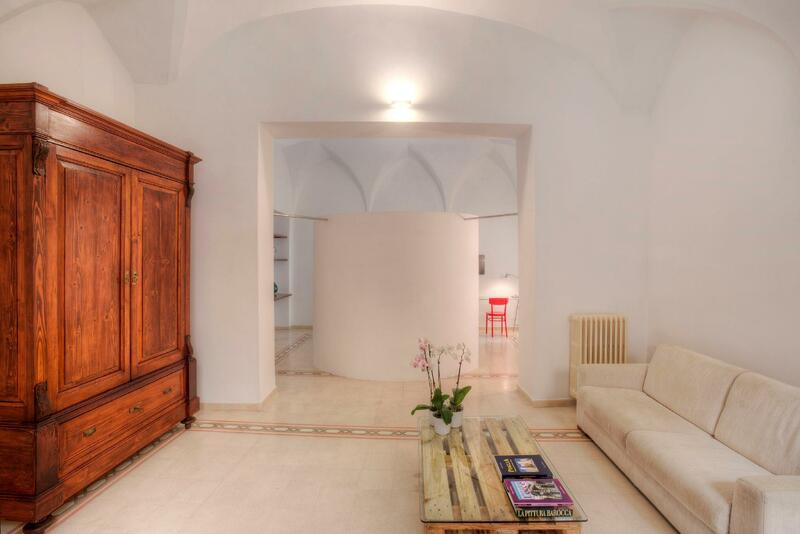 De ligging is zeer centraal: midden in het historische centrum van Lecce. De prijs is zeer gunstig. Het ontbijt zou ik overslaan, dit is zeer eenvoudig en wordt geserveerd in het kantoortje van de eigenaar. Om de hoek zit een leuk ontbijttentje.